Will Germany's diesel bans just push its pollution problem to Poland? Rich countries are exporting their air pollution problems to poorer states in central and eastern Europe, new figures show. More than 350,000 'dirty diesel' vehicles were exported to Poland last year, according to data from NGO Transport & Environment. Another 30,000 such cars ended up in Bulgaria. Campaigners fear this trend will worsen in the future as more cities in western Europe introduce diesel bans. The majority of polluting vehicles going to Poland came from neighbouring Germany, which has seen several of its cities consider diesel bans. The other supply countries were Belgium, the Netherlands and Italy. 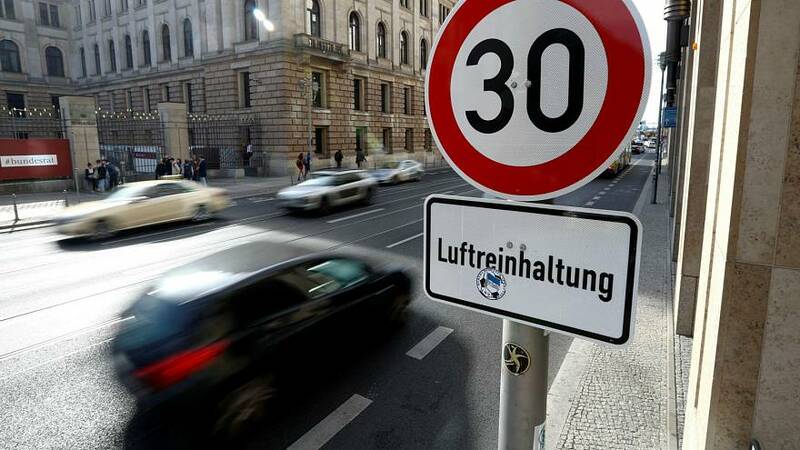 In May, Hamburg became the first German city to introduce one, while similar orders are being touted in Berlin and Frankfurt. Paris, Madrid, Oslo, Amsterdam and Athens have announced similar measures. “In the absence of EU-wide fixes or similar restrictions on polluting diesels in central and eastern Europe, dirty secondhand cars from western and northern Europe will flood in as citizens there try and get rid of them,” Julia Poliscanova, an air quality expert at T&E, told Euronews. Poland already has some of the worst air pollution in Europe, according to T&E, and it causes more than 43,000 premature deaths each year. “Governments must stop exporting air pollution,” said Jens Müller, T&E’s diesel and air quality coordinator. “Problems caused by a mass manipulation of emission tests by car makers must be fixed, not brushed under the carpet.